Blessed Vaishaka Day! – Engage! I had a wonderful time celebrating Vaishaka Day, the Buddha’s birth, enlightenment and parinirvana. I celebrated with the Sri Lankan community of Halifax, whom I had never heard of before; but apparently they have been celebrating ‘Vesak Sil’ for 25 years at the Shambhala Centre of Halifax. They welcomed me to their celebration and invited me to their regular monthly service. The wonderful surprise is that they have a new young monk from Toronto who is going to be in residence with the community long term. His name is Ven. Bandagiriye Sirinanda. They are going to build up the sangha in Halifax for Sri Lanka nationals, youth, and people who are interested in Theravada Buddhism. It was my first chance to experience an authentic Theravada service, and I was delighted. They chanted in Pali all day long—it was just gorgeous. The young monk has a beautiful singing voice and the chant melodies are sublime. Unfortunately, their service book was written in Sinhalese script, so I couldn’t sing along with them, but it was a joy to listen to. The Sri Lankan food was delicious; spicy but more delicate than much Indian food. Now that they have a resident monk, they are going to open their own Vihara, or Buddhist temple. This Ambedkarite white convert would love to practice with the Sri Lanka Theravadans. 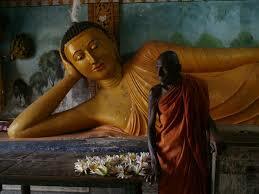 Sri Lanka is the oldest continually Buddhist country. 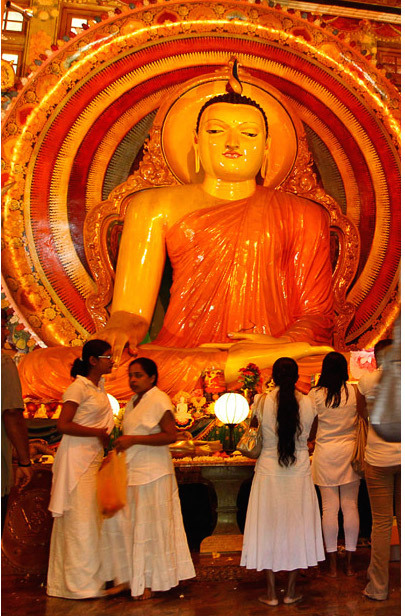 Buddhism has been indigenous to Sri Lanka since the Third Buddhist Council, around 300 BCE . The Fourth Buddhist Council was held there in 103 BCE. The Pali Canon, having previously been preserved as an oral tradition, was first committed to writing in Sri Lanka around 30 BC. Simply, they have been Buddhist forever, and much of the most ancient tradition is preserved in their culture. Dr. Ambedkar went to Sri Lanka to study Buddhism because there were no Buddhist teachers in India in his day (1950s). The common perception is that the Halifax has never had a Theravadan community, either immigrant or convert. This is apparently the first time a Theravadan monk has resided in the City. I’m hopeful that a Theravadan community is going to fully blossom with the new Vihara. I believe there are potentially many more Theravadans in Halifax than we know of right now. Many people would gravitate toward Theravada practice if they had the chance to experience it; up till now they haven’t had a place to go. A Theravada Vihara will give people a choice to experience Theravada teaching and practice. I hope that an allied convert community will blossom with this expanding community. They just started publishing an annual journal, The Atlantic Buddhist, to connect with the local public in Halifax. Keep in touch with the development of this community at their website, Atlantic Theravada Buddhist Cultural and Meditation Society.